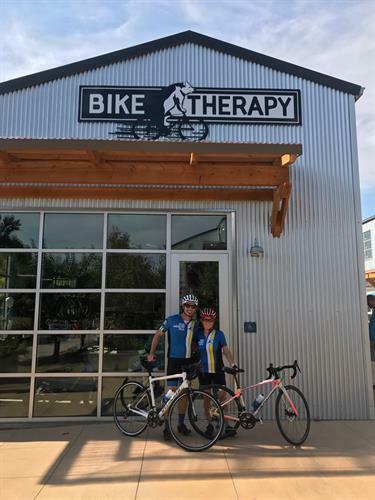 Bike Therapy is a full-service family bike shop, offering maintenance and repairs, bike sales for all types of riding and riders, and complete sizing and fitting programs. In addition, we will offer lots of experiences for everyone to learn about their bikes, and most importantly, get out and ride! Our goal is to make every part of the cycling experience enjoyable and easy, from choosing the right bike and gear for your needs, to making sure it fits correctly, to fixing it, learning how and where to ride, watching biking movies and interesting talks, making friends who ride, and riding together.